Au nanoparticles loaded TiO2 hollow microspheres with exposed (001) facets(Au-HTFs) were synthesized through template-free hydrothermal process combined with a chemical reduction role. 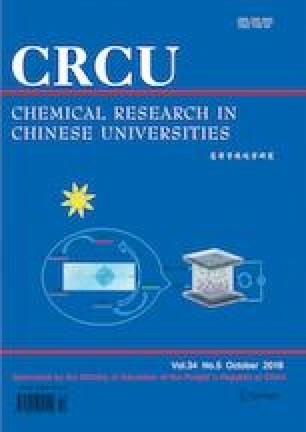 Au-HTFs displayed excellent photocatalytic activity in catalyzing oxidization reaction in organic pollutant system, which originates from the synergistic effect of the reactive (001) facets and Au nanoparticles with a wide range of absorption in visible region based on localized surface plasmon resonance effect. The unique synergistic effect could largely increase the photocatalytic performance resulting from the improvements of both the visible light aborption and the recombination of electron-hole pairs. Our findings revealed that among Au-HTFs with different Au loading percentages, Au-HTFs with 2%(mass fraction) Au loading possessed the superior photocatalytic activity. Supported by the National Natural Science Foundation of China(Nos.61571278, 61571280).